Rachel Jones, a Detroit high school senior at the Henry Ford Academy School For Creative Studies, didn't spend last summer like most kids her age. Instead of a typical summer job or just hanging out with friends, Jones worked at the architecture firm Hamilton Anderson & Associates, sometimes clocking in as much as 40 hours a week over a seven-week span. It was an opportunity she received through the Senior Mastery Process, a graduation requirement for students at the three Henry Ford Academies. The program originated at Henry Ford Academy, a charter school in Dearborn founded by The Henry Ford and Ford Motor Company, and has expanded to campuses in Detroit and San Antonio, Texas. "When I first went in, it was very high class and I didn't know how they would treat me, or how everything was going to run or everything we were going to do," Jones says. Eventually, she settled into her role at the firm, working on architectural models, traveling to work sites, and putting together presentations. In other words, working as an actual architect. "I'm a very shy person," Jones says. "I don't like to seek out attention. But when I got into this experience, I learned how to build my social skills. And my mentor, she taught me how to show myself in the real world. How your appearance and the little things can help you in business." As every teenager nears their high school graduation, there is one inescapable question that lingers in the backs of their minds—and, for the vast majority of kids, that question remains for the first year or two of college: What do I want to be when I grow up? Whittling down the sea of choices can be an incredibly daunting task. At the Henry Ford Academy, high schoolers are given a creative, hands-on opportunity to help do just that. After her experience at Hamilton Anderson, Jones began work on her Senior Workshop Process, which is focused on representations of architecture in video games. Thanks to the internship, she plans to pursue a career in architecture. Many more students in the school are following the same path, in a wide variety of fields, working with local Detroit businesses and professionals in an actual work environment. The Senior Mastery Process was developed in 1999 at the Dearborn school to help high schoolers get a real-world jump on that ever-important question. The idea is to place high schoolers in an intern position in a field that interests them, so they can learn, in a real-world environment, the ins and outs of a given profession—not just from a textbook, but from an actual mentor. 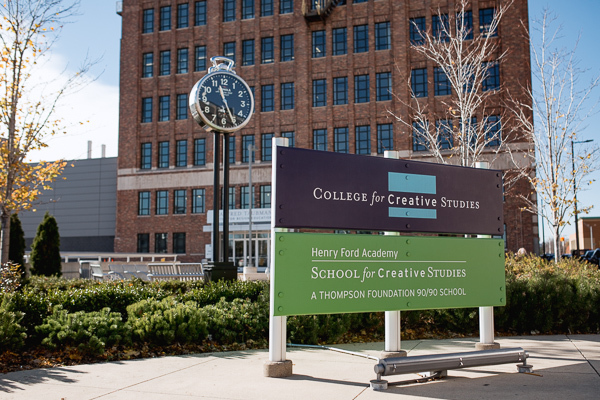 The School For Creative Studies, The Henry Ford Academy campus in Detroit, adopted the program in 2012, and it has been an unqualified success. The school, which has 100 to 110 seniors on a yearly basis, saw every single student in the 2016 class accepted to a four- or two-year college, university, or other accredited post-secondary program. And those graduates collectively garnered nearly $5.5 million in scholarships. That's another reason why the Senior Mastery Process is a graduation requirement for School For Creative Studies students. "It gives opportunities to explore careers,and for self-discovery, a chance to really figure out some of the things they like and things can actually focus on when they go to college," school principal Dr. Curtis Lewis says. "When they're done, they go to college with a purpose. They go to college knowing, 'This is what I want to do, and this is what I want to study,' versus going to school, spending money for two years trying to figure it out. They go in with a plan because they've explored it for two years … They're more self-aware. We don't often do that enough in school, where kids get to explore themselves and what they like." 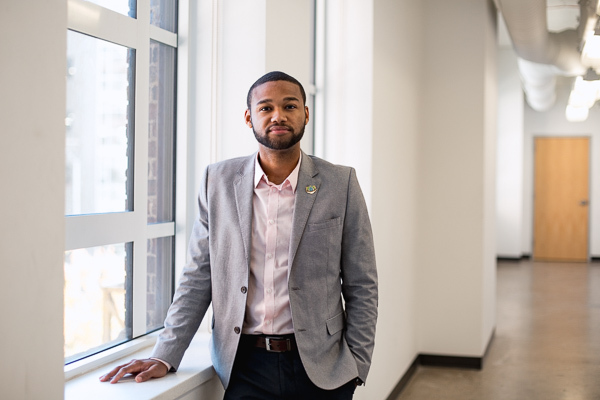 School For Creative Studies senior practicum coordinator Demetrius McCloud has helped place students in professional work environments all over Detroit, in a plethora of fields: architecture, art, business, financial advising, education, pediatric care, nursing, and many more. He's helped kids work within the mayoral office of Detroit, and has even seen one student find a medieval gothic artist in Detroit to study gothic sculpture, creating gargoyle statues and parade floats. "As long as you have the resources and connections, and the students put in the work, they really value it," McCloud says. "Afterwards, they realize how beneficial the experience was. They have that knowledge and they have made those connections. Students hold onto those connections even after graduating, and they keep in contact with their mentor when going through school. That can lead to a lot of different opportunities they may not have seen otherwise." As juniors, students complete a program called the Junior Workshop Process, where they do "career aspiration" work, including career placement tests. The school finds five areas of interest for the student to look into, at which point, the student does his or her own research to identify which job field they would like to dive into. 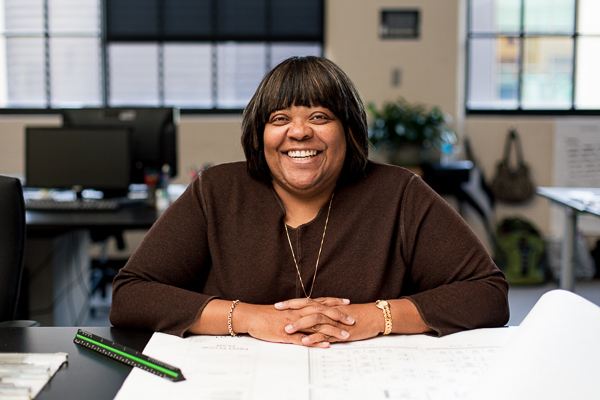 Saundra Little, an architect with Centric Design Studio, has worked with two Henry Ford Academy-School For Creative Studies in the last two years. The Centric Design Studio office is just a few blocks from the school, so Jonathan Kimble and Aaron Anderson would head over after the classes, usually putting in 12 hours a week over a semester. Employees at the firm took Kimble and Anderson to construction sites, to see how design concepts become reality. During his time working at the firm, Anderson built a design model of a housing complex and wrote a PowerPoint presentation for the construction of a building for a heating and flooring company. Kimble is now in his second year studying interior design at the College For Creative Studies in Detroit, and Anderson is a freshman architecture student at North Carolina A&T. "I remember talking to John at the end of his senior year about his decision to go into interior design, and his ideas and his approach, and I was like, 'Wow,'" Little says. "I took a few drafting classes in high school, but I was definitely not studying approach to design. "I wish I would have had something like that when I was in high school," she continues. "To be able to go to school and get that perspective on design and design careers, it was mind-blowing." Last year, Lewis decided to shift the program to the summer to give the students more freedom and flexibility to pursue the internships head-on. According to both Lewis and McCloud, sometimes the students go through the program and decide their chosen field is not what they'd like to pursue at the next level. But, even then, there is valuable experience to be gained. "Our students come back all the time and say, 'I didn't really appreciate this or value it at the time, but my public speaking skills really came from it,' or 'This presentation I made at college, I was really prepared for it, because of this program,'" McCloud says. "It's great for the career, but also college readiness, as well."